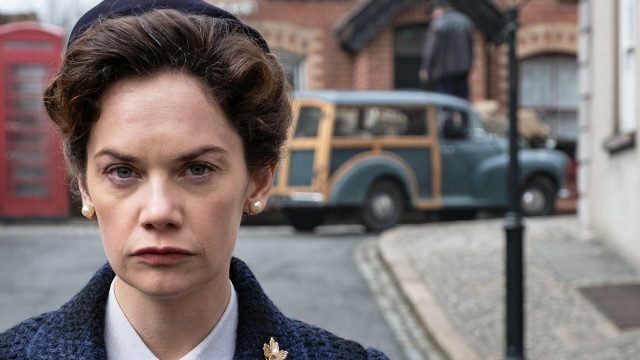 TWIN CITIES PBS: You mention that your grandmother gave you a jar of beads when you were a girl – and that you were transfixed by them. Did you always make jewelry as the manifestation of your creative drive? How has your jewelry evolved over the course of your career? Dominique Winders: Making jewelry has always been a part of my creative life and the process has evolved greatly since I was a child. My grandparents were theater actors in Paris during the roaring 20’s, and my grandmother had a small, but unique collection of broken bits of stage jewelry which she kept in a biscuit tin. My mother had played with these beads as a child so, at the age of 3, when I visited my grandmother in Paris, she gave me this tin and I was transfixed by every sparkly bauble. I still have it, as well as many of the beads that I salvaged once I recognized their personal, as well as, collectable value. By age 7, I was using seed beads punctuated with my granny’s beads to create necklaces with a unique style. After college, my hobby gained such momentum that I started selling one-of-a-kind pieces under the business name Asymmetry Beads by Dom. I was living in Seattle at the time and stocked about a dozen stores on the West Coast, sold at street fairs, and custom designed pieces for private clients and bridal parties for whom I would incorporate clients’ own treasured loose beads and broken bits of favorite jewelry into new keepsakes. I became quite the bead collector, studied the history of jewelry and stones, and dabbled in silversmithing. The initial concept of Giant’s Jewelry came from a dream I had in college (1985?) in which I was commissioned to make a gigantic bead sculpture for installation on the Great Plains. My family used to drive cross country a lot, and I guess adding artwork to the long stretch of vistas seemed do-able; like Burning Man (before Burning Man was a thing) but without the burners or techno music. Around 2005, I revisited this vision and decided to create sculptural work that incorporated my jewelry skills and fondness for beads and found objects on a manageable scale size-wise. It also coincided with having finally acquired the perfect studio space in which to “explore” and “expand”. TWIN CITIES PBS: On that note, how has the mythology you’ve created of a post-Armageddon tribe of giants, evolved? What initially sparked your fascination with this story? Do you regularly add “chapters” to the story that influences the giant-sized jewelry you create? DW: When responding to calls for art, there is often a theme that curators are seeking to present. I wanted to “brand” or “describe” my work in a literal, yet whimsical way. After designing my first few pieces, I chose the name “Giant’s Jewelry” because it truly describes the aesthetic of the work. “Giant” is the literal size of the work (6” to 6’) and “Jewelry” which is universal, ancient, attractive, coveted, symbolic and sentimental. The backstory as self-adornment for post-apocalyptic tribal Amazons not only helps me focus the scope of the work, but also answers the general query “What is this?” and “Why?” Attributing the work to this mythical society serves as a springboard for engagement in a piece and invites me to embellish it with whimsical details. In Giant’s Jewelry, I am creating artifacts of an entire civilization with unlimited stories to tell and for whom I am also the ethnologist, exploring the culture from both the etic and emic perspectives. Each piece adds its own bit of narrative to the allegory. Some pieces are more informative than others, depending on the materials, the mood, or the patron. Some collectors may not want to have a story attached to the work. Some people may also misunderstand my focus on “post-apocalyptic art” as being negative, but it is actually the opposite. My work is about evolution, hope and survival. Self-adornment is the oldest form of defining identity. The materials used are in reverent recognition of their roots. My work is eco-friendly and nostalgic, using recycled materials and worn objects or orphaned jewels often no longer useful in la vie quotidienne. This all sounds so heavy… But truly, my work has lots of humor embedded in it. To quote Napoleon, “There is but one step from the sublime to the ridiculous.” I try to stay suspended somewhere in between and try not to take myself too seriously. My art is not “work.” It’s “play,” but with heavy concepts; provocative, spontaneous yet deliberate. 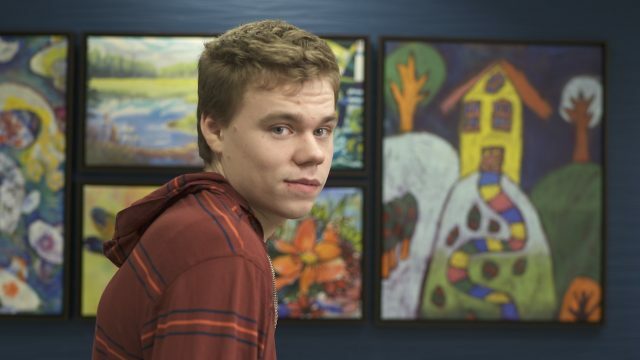 TWIN CITIES PBS: How do you decide which found or scavenged pieces go together? And then, how do you know when a piece is finished? DW: There is always one specific piece of hardware, fixture or element which is the starting point. This piece will dictate the structure of the work, whether it will hang as a wall piece or suspend as a mobile or….? Before falling asleep at night, I “creatively visualize” how I want the piece to look, try to problem-solve some of the structural challenges I might encounter. Once in the studio, I hunt and peck for complementary hardware, layout potential objects, sketch out a design and then start building, filling in details as the piece progresses. Attention to weight/balance and composition are the most essential. I also consider use of negative space and shadows. A final design can undergo many edits during the construction process and generally takes 3 to 4 days of studio time. I use momentum, get in the zone and go. A piece is finished if I stop obsessing about it and it has achieved balance. The story part evolves as a piece is being created. For example, “Her Majesty’s Request” was inspired by the Victorian Era, primarily the forehead pendant called a “ferroniere,” worn by Queen Victoria in the 1830’s. Crystal rosary beads drape from a heavy iron filigree. I then added other components which were relevant during her reign: a miniature bronze crown with garnets and pearls and a mini hot-air balloon crafted out of metal found objects as a nod to the “Steampunk” movement. 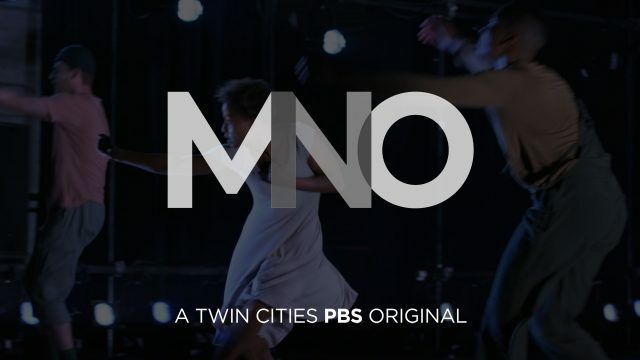 TWIN CITIES PBS: When we interview artists about their creative pursuits, they often describe one pivotal moment or experience that gave them the confidence and the conviction to dedicate themselves to their art. Was there a pivotal moment like that in your career? DW: I have always enjoyed the arts; dance, music, writing and visual arts. Since relocating to MN in 2001, I had dedicated most of my free time to studying and performing West African dance and assumed many of the grant writing, marketing and board member responsibilities included therein. That was fun, but I could feel a change coming. In 2007, I tested the waters by participating in a visual art group show which was encouraging. My pivotal point came in 2013 when I traded my time in the dance studio for time in my art studio, and I quickly saw the fruits of my labor. I stepped up my exhibition efforts, and in 2014, I was awarded the Altered Esthetics Solo Artist Exhibition opportunity and was invited to join Tres Leches Art gallery in the Northrup King Building as a supporting cooperative gallery member. Since then, many doors have opened, and I am continually learning and growing as an artist. 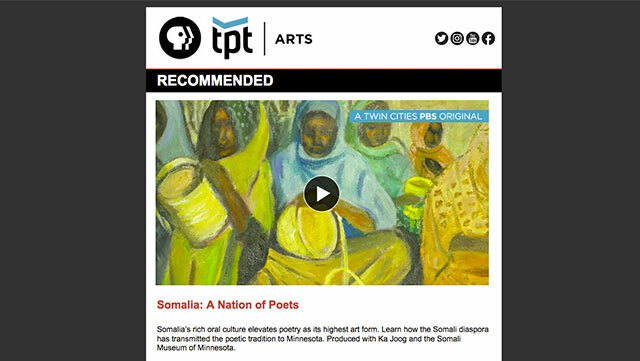 TWIN CITIES PBS: Who are some of the artists, explorers, historians, philosophers that have influenced your work? DW: I have a fascination with dystopian future, the will to survive and how cultures transform over time. So, I read a lot of books of history and survival, both speculative fiction and historical non-fiction. From “The Earth Abides” by George Stewart, “Station 11” by Emily St. John Mandel to Captain Cook’s ship logs in “Blue Latitudes” and Paul Theroux’s travels, I am attracted to literature which documents cultural change, either through discovery, revolution, invention or evolution. As a species, we are incredibly adaptable and my curiosity in this lends itself to the theme of my art. 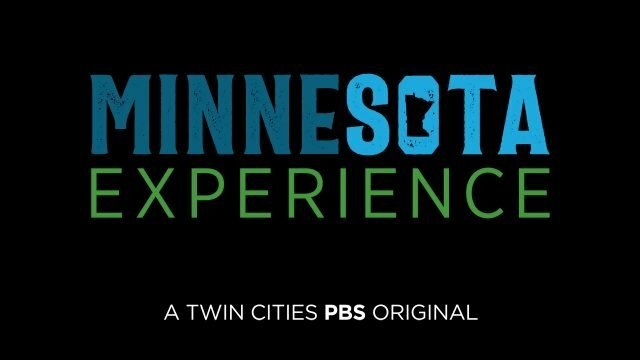 TWIN CITIES PBS: Once you’ve created a piece of Giant’s Jewelry, what do you hope it’s future will be? DW: I hope my work will continue to tell a story for patrons and add something clever and significant to their own history. I hope the work acts as a reminder of the scope of human existence; suffering, tension, humor, hope, despair, endurance, memory and the tenuous balance between mankind and nature. WANT TO SEE MORE STUFF LIKE THIS? SIGN UP FOR OUR ARTS NEWSLETTER!